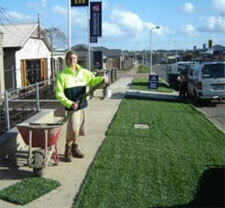 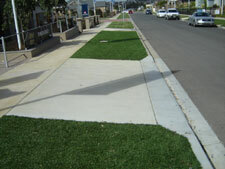 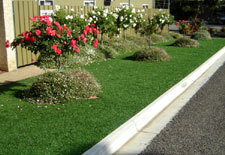 SmartGrass is a synthetic grass designed to replicate the look and feel of regular grass. 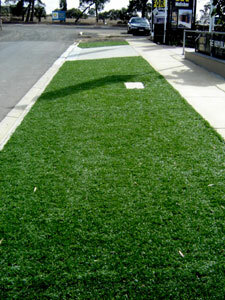 SmartGrass is the softest and lushest synthetic grass on the market. 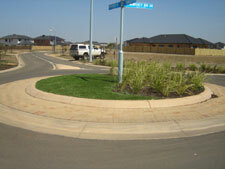 It was designed by a company with more than twenty years experience in the landscaping industry, in response to Australia’s relentless drought conditions and the demanding maintenance requirements associated with regular turf. 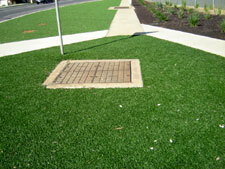 SmartGrass is extremely low maintenance that is especially well suited to areas where natural grass is difficult to grow or where upkeep is impractical due to water restrictions or other environmental factors. 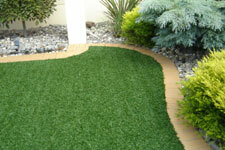 Wholly owned, made and manufactured by an Australian company with over 30 years experience in the synthetic grass business, ‘SmartGrass’ was invented over 5 years ago, and comes with a seven year warranty. 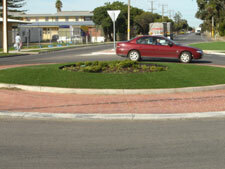 Synthetic roadside verges; centre median strips; nature strips; etc are becoming more and more accepted as Councils realize the hidden costs for OH+S and Liability issues associated with these areas; let alone the value add item of time saving/environmentally sustainable/clean green image.